Captions and further pics to come. 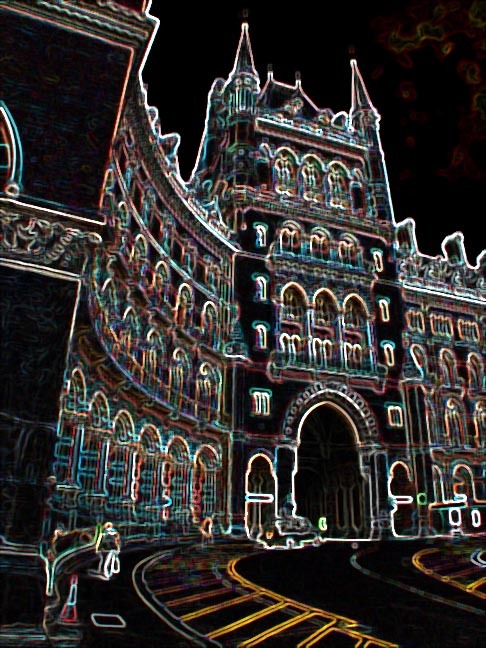 The glorious Saint Pancras Gallery by NursePayne on contaminationzone.com. Joyce Whitchurch has a nice historical montage of St. Pancras. The Public Lettering website on old and new passenger signs in Saint Pancras. Google on the Saint Pancras area in general. Revised 19th January 2005: first version.